Sri Lanka is the tropical backdrop of an unpublished story told by a would- be author whose work has landed her a cheque for £2,000. 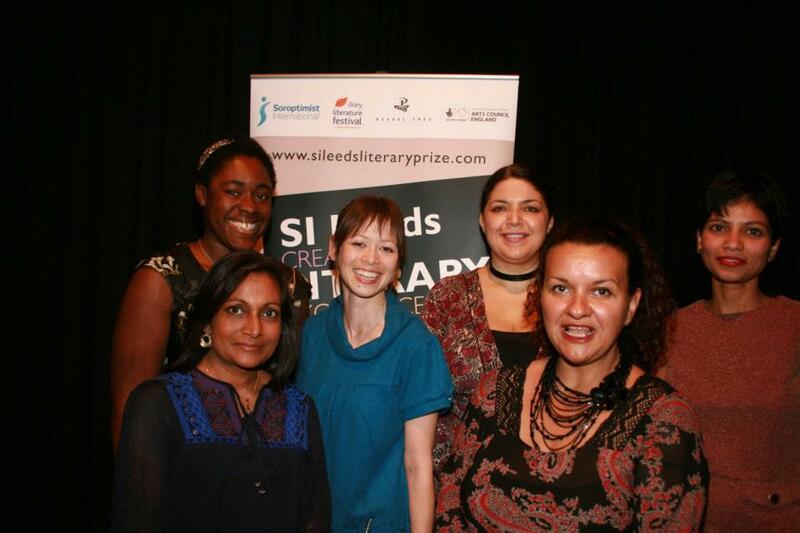 Minoli Salgado's A Little Dust on the Eyes won the inaugural SI [Soroptimist International] Leeds Literary Prize. The prize was created and run by Soroptimist International of Leeds, in partnership with two well established and highly regarded literary organisations, the Ilkley Literature Festival and independent publishers Peepal Tree Press. The prize aims to act as a loudspeaker for Black and Asian women’s voices, and a platform to discover exciting new talent, from a group largely under-represented on our bookshelves. Four unpublished manuscripts were chosen from the shortlist of six by a panel of judges chaired by Margaret Busby OBE, the writer, editor, consultant, reviewer and broadcaster who was the UK’s youngest and first Black woman publisher when she co-founded Allison & Busby. 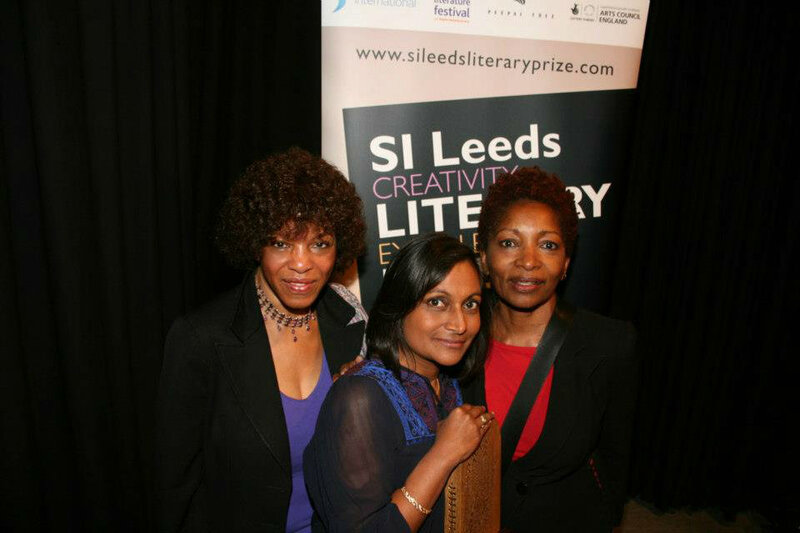 All six shortlisted writers attended the award ceremony at Ilkley Literature Festival, which featured Busby in conversation with prize Patron, writer and critic Bonnie Greer OBE. Greer is a passionate advocate for the prize, and told audience members that they would all remember that they were present “at the start of something special”. As well as her prize money, Salgado took home a newly commissioned trophy created by Yorkshire artist Seiko Kinoshita. Runner-up Karen Onojaife also won the SI Readers’ Choice award, which went to the favourite entry from the long-list chosen by members of Soroptimist International across Yorkshire. Peepal Tree Press will offer the winning, runner-up and third placed authors two 1:1 consultancy sessions in professional development support through its Inscribe programme and consider publishing their work. The prize was organised by Soroptimist International of Leeds, a worldwide organisation for women in management and the professions, working through service projects to advance human rights and the status of women. Soroptimists inspire action and create opportunities to transform the lives of women and girls through a global network of members and international partnerships. See http://soroptimist-gbi.org/leeds/ for more information on Soroptimist International of Leeds. Sri Lanka is the tropical backdrop of an unpublished story told by a would-be author whose work has landed her a cheque for £2,000. Minoli Salgado's A Little Dust on the Eyes won the inaugural SI [Soroptimist International] Leeds Literary Prize in the UK this month. The prize was created and run by Soroptimist International of Leeds, in partnership with two well established and highly regarded literary organisations, the Ilkley Literature Festival and independent publishers Peepal Tree Press. It aims to act as a loudspeaker for African Caribbean and Asian women’s voices and a platform to discover exciting new talent from a group largely under-represented on bookshelves. Four unpublished manuscripts were chosen from a shortlist of six by a panel of judges chaired by Margaret Busby OBE, the writer, editor, consultant, reviewer and broadcaster who was the UK’s youngest and first Black woman publisher when she co-founded Allison & Busby. As well as her prize money, Salgado took home a newly commissioned trophy created by Yorkshire artist Seiko Kinoshita. Runner-up Karen Onojaife also won the SI Readers’ Choice award, which went to the favourite entry from the long-list chosen by members of Soroptimist International across Yorkshire, in the north of England. Third place (tied): Emily Midorikawa A Tiny Speck of Black and then Nothing and Jane Steele Storybank: The Milkfarm Years. The prize was organised by Soroptimist International of Leeds, a worldwide organisation for women in management and the professions, working through service projects to advance human rights and the status of women. Soroptimists inspire action and create opportunities to transform the lives of women and girls through a global network of members and international partnerships.